The discovery of a 300 year old siddur (Jewish prayerbook) has sparked curiousity among researchers in England. The siddur is actually a translation of a translation. The first Jews to return to England after the exile of 1290 were Spanish and Portuguese Conversos. Oliver Cromwell’s government permitted the open settlement of Conversos who had returned to Judaism, though Conversos had been living in England before this. The well-known congregation established by these former Conversos is Shaarei HaShamayim known as the Bevis Marks synagogue. The siddur appears to be an English translation of a Spanish siddur. Spanish was the common language of Spanish and Portuguese Conversos.The prayerbook appears to have been translated for a woman since it omits various berachot (hebrew blessings) associated with rituals traditionally observed only by men. The existence of a non-sanctioned siddur is interesting since Spanish-Portuguese Jewish communities were very regulated and unauthorized versions suppressed. 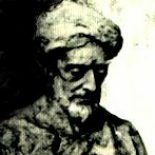 The rabbis and ruling councils (referred to as Mahamad) of communities formed by former Conversos were every leary of the possibility of heresy creeping into their communities. Part of this stemmed from the tendency of many Conversos e.g. Juan de Prado, Uriel da Costa, Benedictus (Baruch) Spinoza, and many other individuals not as well known, to question rabbinic authority. This tendency was also heightened after the demise of the Sabbatean movement. Posted Rabbi Juan Bejarano-Gutierrez the director of the B’nei Anusim Center for Education and the author of What is Kosher? and What is Jewish Prayer? This entry was posted on July 27, 2016 by rambam442013 in Crypto-Jewish History and tagged Baruch Spinoza, Bevis Marks Synagogue, English Siddur, Jews in England, Juan de Prado, Siddur, Spanish-Portuguese Jews, Uriel da Costa.